Gail C. Golab, PhD, DVM, MANZCVS, DACAW<br>Dr. Golab earned her PhD in biochemistry from Texas A&amp;M University in 1987 and her DVM from the University of Illinois in 1991. <br><br>After completing a medical and surgical internship, and several years in private practice, she accepted a position with the American Veterinary Medical Association (AVMA) as a scientific editor for the Journal of the American Veterinary Medical Association and the American Journal of Veterinary Research. 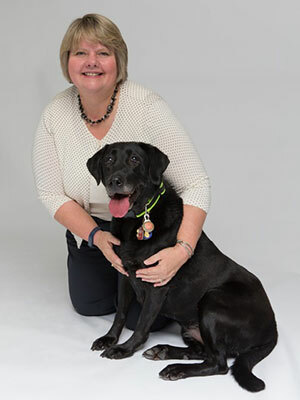 In 1998, Golab joined the AVMA's Division of Education and Research as an assistant director, serving as staff consultant for issues related to human-animal interactions (animal welfare, human-animal bond). In 2001, she became assistant director of the Association's Communications Division, where she continued to serve as staff consultant on human-animal interactions and also managed professional and public affairs and crisis communications for the Association. In 2006, Dr. Golab became associate director of the AVMA's newly created Animal Welfare Division and, in 2007, was named director of that Division. In 2015, Dr. Golab became the Chief Advocacy and Public Policy Officer for the AVMA. <br><br>In 2005, Dr. Golab was inducted into the National Academies of Practice (the nation's distinguished interdisciplinary healthcare forum addressing public policy, education, research, and inquiry). In 2008 she became the first American veterinarian to quality for certification as a Member of the Australian and New Zealand College of Veterinary Scientists' Animal Welfare Chapter (MANZCVS) and in 2012 she became a Charter Diplomate of the newly AVMA-recognized American College of Animal Welfare (DACAW).<br><br>Dr. Golab's more than 30 years of involvement in the human-animal interactions field, including research and policy development, began as an undergraduate, transcends both professional degrees, and has included opportunities for exposure to a variety of concerns affecting diverse species. Work experiences in academia, industry, and private practice set the stage for a well-balanced approach to difficult issues. The Model Animal Welfare Curriculum Planning Group (MAWCPG) was convened in 2011 to assist in addressing gaps in animal welfare-related education for veterinary students. Composed of multi-disciplinary subject matter experts from around the world and key stakeholders (AAVMC, Canadian Veterinary Medical Association, US Department of Agriculture), the planning group was tasked with conducting a needs analysis, formulating a philosophy statement for animal welfare-related instruction, defining curriculum objectives, describing core competencies and identifying instructional resources. This process has concluded and the outcome sent for publication in the Journal of the American Veterinary Medical Association. This session will cover the highlights of the task force report and potential next steps in the area of Veterinary Animal Welfare Education. 1. Understand why information about animal welfare and its assessment needs to be included in the veterinary curriculum. 2. Understand what and why instructional gaps exist in current curricular offerings in colleges/schools of veterinary medicine. 3. Receive information about recommended curricular elements, objectives, day-one competencies, skills development, and skills assessment.